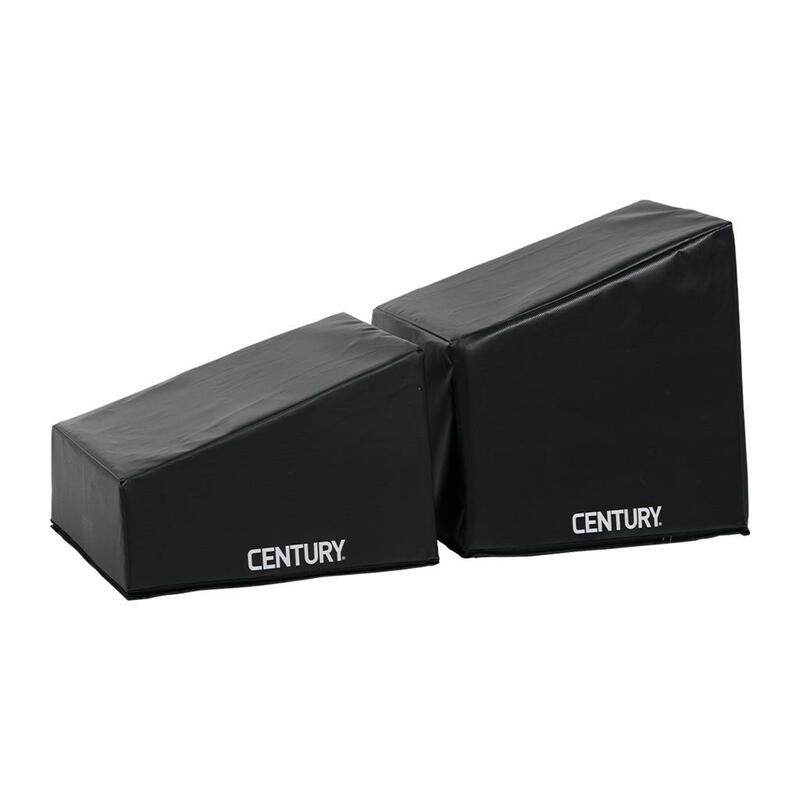 Add excitement to your kids’ classes with an obstacle course, freshen up your adult fitness classes with new plyometric exercises, and more with Century’s Two Piece Angled Steps! This set of two steps, which can be pushed together to form a ramp for even more versatility, are made with dense foam and a sturdy nylon exterior, to stand up to being stepped on or jumped off of repeatedly. Each piece features a textured slip-resistant base. The shorter step is 6” tall at the bottom of the slope and 12” at the top, while the taller is 12” tall at the bottom of its slope and 18” at the top. Each have a square 18”X18” base.